It has been said that an army travels on its stomach. The same could be said for traveling families. My last post, “Four Days in Seattle, the Emerald City,” highlighted the best of what to do in this eclectic city, nestled between Puget Sound and Lake Washington. 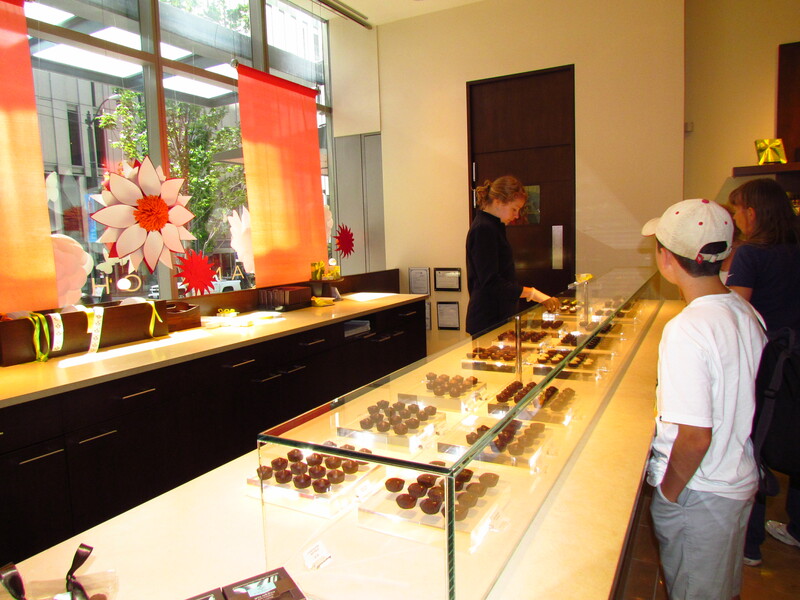 Taking advantage of a summer-time visit filled with sunny days, and with the Four Seasons Seattle as our home base, we covered a lot of territory, exploring the sights and taking breaks to browse through the shops. What surprised me about this city was how hilly it was — like a mini-San Francisco. All of this urban hiking left us hungry, and as with any adventure away from home, sampling the local cuisine was paramount. 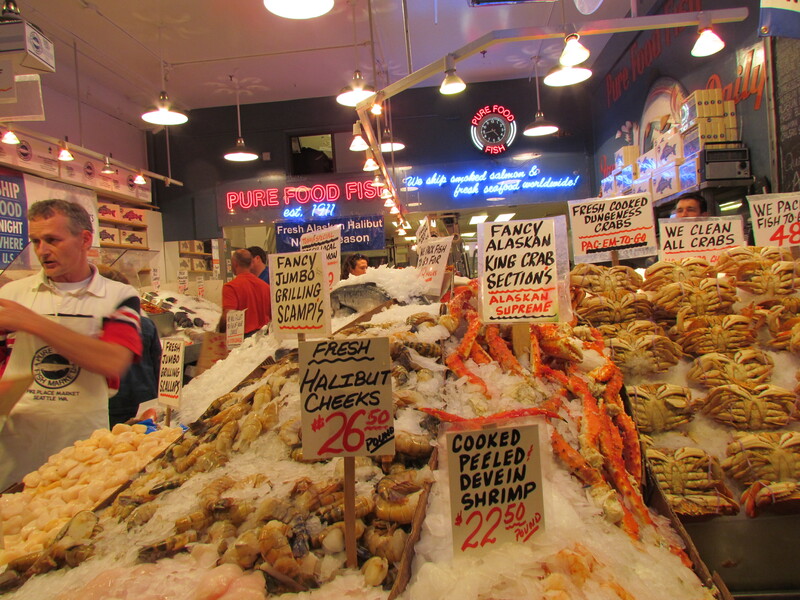 Seattle will not disappoint the food-lover with its bountiful seafood, fresh, locally produced ingredients, and focus on sustainable fishing and farming. Fish plucked that morning right from the waters surrounding the city is not only common on menus, but expected. With so many choices, the following list is by no means complete, but it’s a good start in helping you to plan a trip. And, if you have more than a few days to spend here, consider renting a car or joining a tour, and taking an excursion outside the city to catch a glimpse of the beautiful and lush state of Washington. The First Starbucks: A must-see for the caffeine addicted, near Pike Place Market. Seatown Seabar & Rotisserie: With its outdoor-seating and location outside Pike Place Market, it’s the perfect spot for fresh seafood and people watching. Elliot’s Oyster House: On Pier 56, stop here for lunch after a morning visit to the aquarium. Afterwards, stroll along the waterfront or ride the giant ferris wheel. 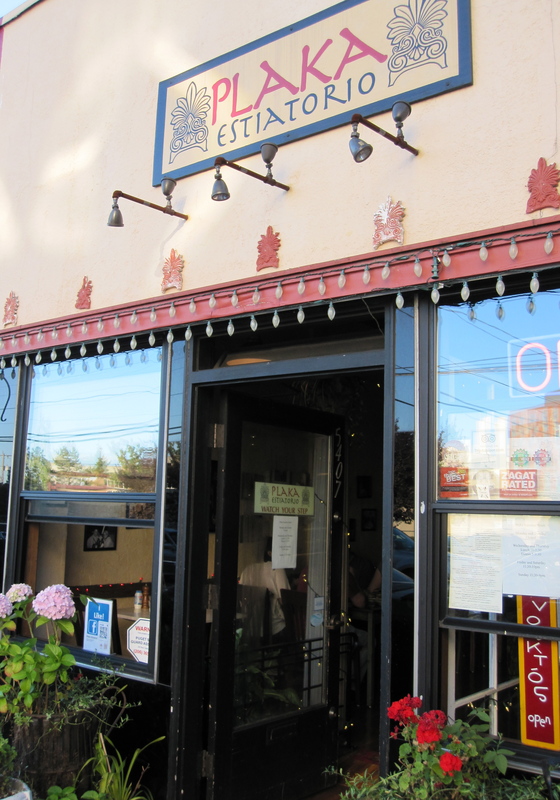 Plaka Estiatorio: Located in the historic and hip neighborhood of Ballard, this authentic local restaurant serves all the Greek specialties, like spanakopita and souvlaki. Ray’s Boathouse: On the shores of Ballard not far from the Locks, enjoy casual seafood with a beautiful view of Puget Sound and the Olympic Mountains. Wild Ginger: Located downtown, the city’s best Asian restaurant covers the whole Pacific Rim: Thai, Chinese, Indonesian, Vietnamese, Malaysian and more. Order the Buddha Roll, Seven Flavors Beef and the Sichuan Green Beans — delicious!! Barolo Restaurant: When you get tired of seafood, this is a great choice for Italian. Located downtown, it’s casually elegant, and features old-world dishes with a contemporary twist. My kids loved the rigatoni with organic, lamb ragu. Serious Pie & Biscuit: Just a few blocks from MOHAI Museum in the Westlake neighborhood, its specialties are personal-size pizzas made in wood-burning, stone ovens and biscuits topped with everything. It’s all served at communal tables. Art Restaurant & Lounge: Located in the lobby of the Four Seasons Seattle Hotel, we celebrated our last night in town with delicious Northwest cuisine and dramatic sunset views of Elliott Bay and the Olympic mountains. And, our gracious server, a native of Alaska, engaged our kids with talk of our upcoming cruise up north. REI: Located downtown, this is not just an outdoor equipment/clothing store, but an indoor/outdoor adventure! Walking through the mini forest to enter the store, my kids were amazed by the 470-foot mountain bike test trail, which leads to a waterfall, and inside, the 65-foot tall rock climbing tower. They even had a “steep terrain” area to test out hiking boots! Columbia: Located downtown, we picked up some extra outdoor sportswear for our next stop on our trip: Alaska. It’s well stocked — perfect if you forgot to pack something, which we did. 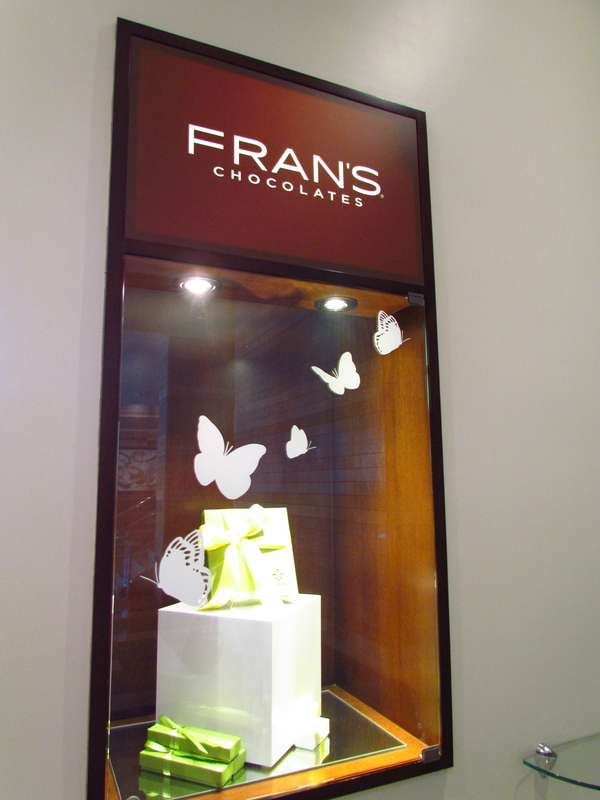 Fran’s Chocolates: Two words: “salted caramels.” Located on First Avenue, in the lobby of the Four Seasons Seattle hotel, this specialty chocolate shop is addictive—trust me, just go there. And, they give out free samples. Nordstrom’s: Not far from Pike Place Market, this is the famous retailer’s first location. Mt. Rainer National Park: On a clear day, you can see this majestic snow-capped mountain from downtown Seattle, and it’s only about 75 miles away. Issaquah: It’s a former mining town, and now the second fastest growing suburb in the state. We went to visit my cousin, but I would recommend to anyone. There’s lots of mountain hiking trails, lush green forests, a quaint town center, a salmon hatchery and much, much more. This entry was posted in Seattle, United States and tagged Ballard, Four Seasons, Four Seasons Seattle, Issaquah, Mt. Rainier, Pacific Northwest, Pike Place Market, Puget Sound, Seattle, Seattle Restaurants, Seattle Shopping, Washington. Bookmark the permalink. Thanks for sharing my post on your Facebook page! Thank you for reading my blog and for your supportive comments! So glad you are enjoying it!